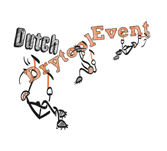 This week I'm working harder then ever to get my favourite local climbing gym ready for the biggest climbing event of the year: Dutch Drytool Event. Last year I organised the event in another gym. They promised me all kinds of things. Money, being part of a climbing team and I was free to keep some of the routes so I could train for the worldcup. After a week they took out almost all routes, forbid us to climb and completely ignored all promises that were made. After an pretty angry short letter I wrote they got even stranger... A very weird disparaging phone call I got was for me the end. Time for a more positive and healthier gym. Monte Cervino was very willing to host the event. 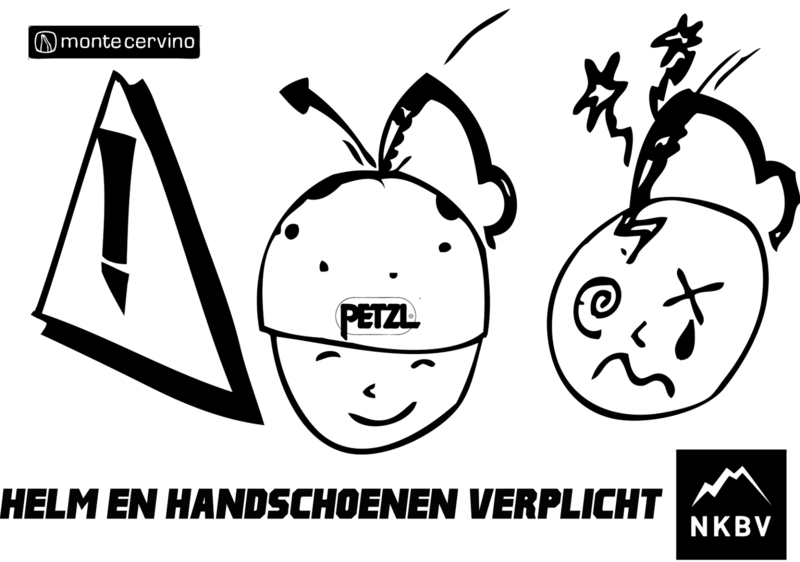 Petzl got some money left on the end of this year and sponsored ropes, helmets, loads of iceaxes, 'snert', (pea soup) and more. The NKBV (Dutch Alpine Club) sponsors it all with help in advertisement, money and on the day we'll have official NKBV judges and people who do the hard administrative part. Dennis, Jeroen and I made 20 (!!!) routes this week. Some are super fun and 'adventurous' with big tyres and wood. Others are hard with long moves and tiny footholds. The main wall today. With the finals and two of the other hard routes . Goal is to have something for everyone. If you've never climbed with iceaxes before you should be able to climb at least 2 routes. This day should be the most awesome introduction to drytooling for you. And yes, we have a final round too. Only the best 6 will get there. 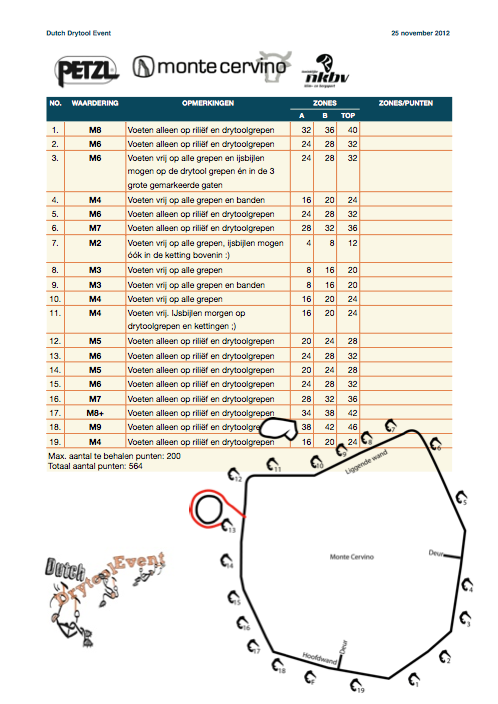 The route will be around M10 (+++) with technical, long, and tiny things to hang on in between of course. Sunday November 25. 2012 >> That is this Sunday! More info and updates on our Facebook Event Page. No excuses: The weather is good, the iceaxes are good, the food is good, the music is good and you are good!